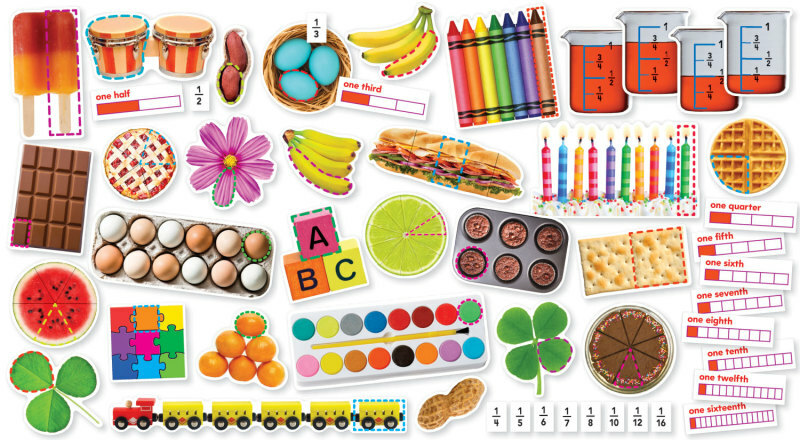 Annotation: Help students improve their grasp of fractions with this eye-catching bulletin board set. Vivid photographs depict fractions from 1/2 to 1/16. Supports the Common Core State Standards.